It's All Connected: I've Accepted A Challenge! 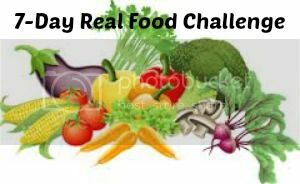 This is the first day of the 7-Day Real Food Challenge. There are eleven bloggers participating in the challenge, including our hostess, from Mary's Kitchen. We have all agreed to eat only natural foods we make from scratch ourselves, for one week. If you've been following me for any length of time, you know I started eliminating processed food from my diet over a year ago. Packaged foods went first and canned followed. I moved toward organic, fair trade, locally grown/produced food. "Well, Yeah for you", you say. Come on, some of you did! I'm going to ask a favour of you, so I'd better explain why I've put so much time and energy into making these changes to my diet. There's the obvious health aspect. I've become so distrustful of the food industry that I want to know where my food comes from, how it was produced, where it was produced and who was involved in that production. I also feel strongly about the need to rethink how we inhabit this planet. Those of us who live in North America have lost connection with the very things that sustain us. We were given so much land, so many natural resources and so much affluence that we are like spoiled, ungrateful children. 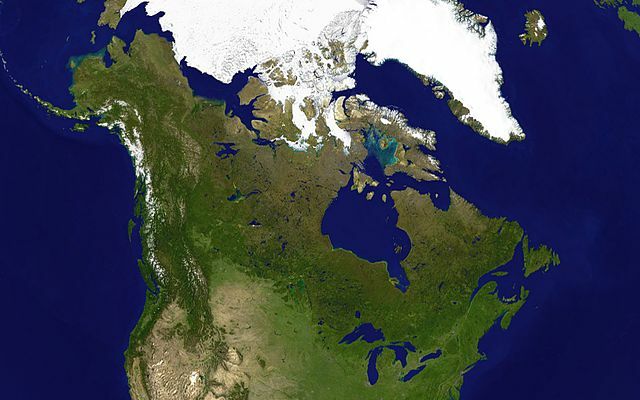 Isn't Canada amazing from space! Did you ever notice that the happiest families make meal times something special? Every single time I've written about making an old fashioned recipe, picking berries or canning produce, the comments flood in with everyone's happy memories of those same things. When we are connected to our food, we reconnect with ourselves. I never hear anyone fondly reminisce about a pizza they ordered when they were kids. So, this week, I'll show you what I am doing to keep that connection going. I'll try more of the make it myself recipes I've stockpiled on Pinterest and I'll try to address the issues of time and costs in moving in the direction of natural foods. And, the favour I want from you? I'd love to have your input! What works for you? 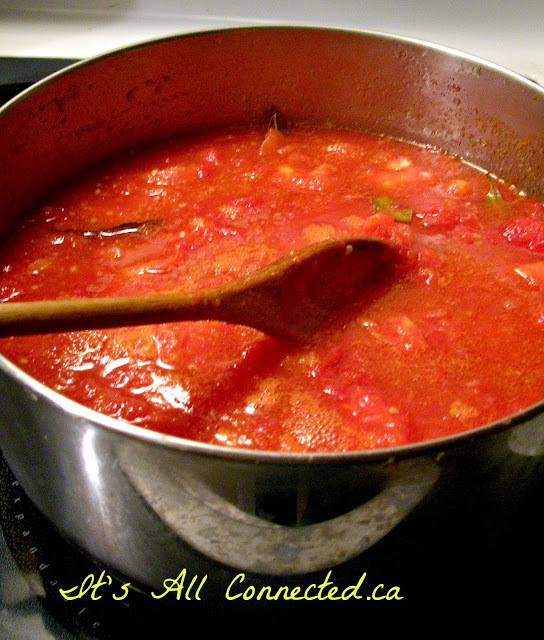 If you are a blogger, send me the link to a post with a real food recipe and I'll link back to you. For non bloggers, tell us what you do to eat well in the comments or, better yet, send me an email with your recipe and a pic of what you made and I'll include it in a post. We really need to hear from parents with kids at home! It's all fine and dandy for a single woman, on a half acre of land, with four chickens popping out eggs, but how do urban, working parents do it? It would be great fun to hear from the six or so guys that I know read this blog! Are you all up to the challenge? ps - I froze green beans and dried herbs today and I'll show you that tomorrow. Great question about the cheese. It's one I've considered myself and I'm still not sure how I'll approach it. Well done, and I'm sure once you use these recipes you will continue to do so. I gave up canned food and processed foods a long time ago (too much salt and preservatives) I've just been in the garden picking fresh tomatoes and beans for part of todays dinner. Looking forward to following along and seeing your recipes and how you are doing. I have several recipes on my recipes page. I haven't cooked much this week because of all the family birthday parties we've had! I look forward to reading your recipes! Good for your Maureen ... I will follow along in hopes that I could do this too. I dont have a garden right now, - and its just my Son and I at home. He is mildly Autistic, and only likes "certain" foods, but I do try and eat as healthy as we can! Kudos to you, Maureen! As much as I love Canada and miss it, for all the reasons I don't miss Greece when I'm away, I have to say that this winter, after spending 3 months in Toronto, I was astonished at how much processed food people were consuming! It seems many Canadians just don't have time to cook. Anyway, living on the island of Crete for the past 25 years has taught me the importance of eating locally, seasonally and creatively!! Looking forward to your inspiration. I love this idea and will participate as much as possible....look forward to seeing how this turns out. We are also moving in those same directions and any advice and help we can get will be totally appreciated! What a great challenge to participate in Maureen!!! When the kids were small I was much more diligent with this I have to say - I've fallen by the wayside in the last few years..........gotten lazy. I love that you are doing this Maureen and I'll be watching. I've gotten pretty lazy myself and since I've gone back to work, my eating habits are horrid! You've inspired me to have healthier goals and since I've given my notice at work, I'm going to be out of excused very soon! and turkey. Fish that came from Alaska. We grow our own vegs. Then I freeze them for over the winter. Drink Almond milk .....the list goes on. Once we started reading labels we changed our way of eating. I'm so interested to see how this goes for you. We gave up canned stuff years ago, and eat as little processed packaged food as possible. But it's very hard going sometimes because of time mostly. We do grow some of our own veggies because we don't know what's on them when we buy them at the grocery store. I'll be reading and learning. This is the way we all need to live in order to be healthy and live longer, better lives. I am doing what I can to change our eating habits. We all need some inspiration along the path to better health. You are so right and thought provoking as always. I hate processed foods but sometimes they are just the easy option, and my brother especially is always drawn to them because he can't cook much. We do loads of homemade stuff at the café, so maybe I will do a recipe one day - I have often thought of photographing the stuff we serve.